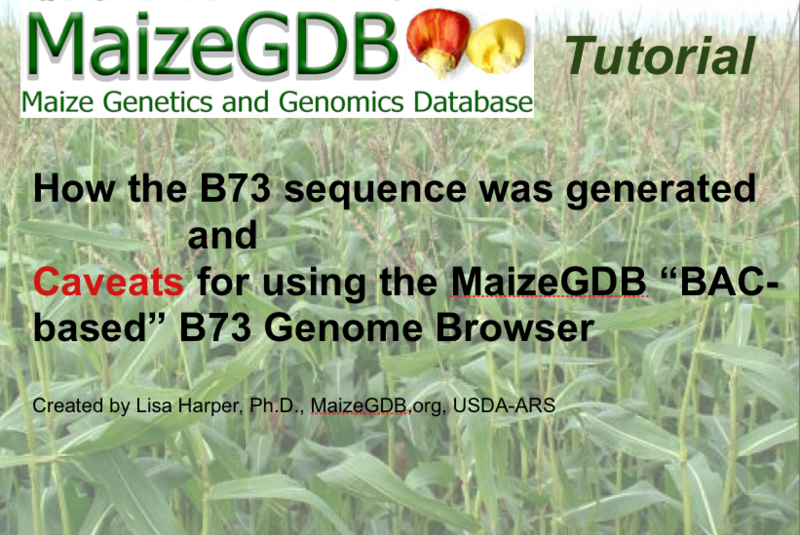 The “BAC based B73 Genome Assembly” was the first sequence assembly available for B73 in maize. This assembly version is not currently used and has been replaced by the “B73 refgen_v1″ assembly. However, one can still browse the BAC based assembly. This silent movie has animations that illustrate some of the problematic issues of the BAC based assembly. Pause the movie to read text more carefully. If you have some comments about this page fill out our easy to use feedback form without leaving this page!